We have all done it. 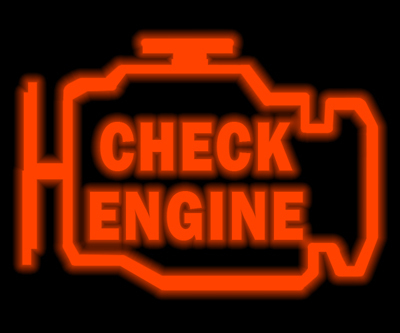 Everyone, at some point in their life, has driven around trying not to worry about the “check engine” light. Some just plain ignore it. I think it is because of how that light doesn’t really point out a major issue. Check the engine for what? What that light means is unknown to most, so we’re trying to shed some light on the subject. First off, that light comes in different shades depending on the manufacturer. What you really want to look out for is if the light starts to flash. This is a serious danger warning. One such issue that blinking light may be pointing to is the catalytic converter is overheating and if that is the case, then that means trouble for the car. Which is why it is best not to ignore the light. Sure people tell themselves they can drive around for weeks or months with the light on and nothing happens. But that doesn’t mean that the engine isn’t suffering an issue that is being worsened by your avoidance of the trouble. According to CarMD.com, ten percent of all cars on the road have their “check engine” light on. Half of those drives have been ignoring the light for three months! If the light comes on due to an error, then it will most likely turn off after a short time. If that time has last well past a little while, then make the smart decision and save yourself time and money further down the road by checking your vehicle into a service department for an inspection. Remember that you can schedule a time to be seen by the service department at Bayside Chrysler Jeep Dodge by going to our service tab on the website. You can also keep up with your service appointments by downloading our mobile app to view details in real time on your vehicle when brought in for a service appointment.